As part of the inauguration of the Fifth Monarch Butterfly Research and Conservation Symposium, it was announced that a group of Mexican and American experts will begin a scientific research on the effects of the pollination of the monarch butterfly on its migratory route. Through a statement, it was reported that these actions will performed with the support of the WWF-Mexico TELMEX/TELCEL Partnership. The reserch will be carried out during the month of March, when the butterfly that hibernates in the forests of Michoacán and the State of Mexico flies back to the United States and Canada. Biologist Eduardo Rendón Salinas, Chief Coordinator of Wild Corridors of the World Wide Fund for Nature (WWF) Mexico, said the research will have a second part from August of this year, when the butterfly migrates from the two northern countries back to Mexico. Rendón Salinas also said that the monitoring will be based on the use of state-of-the-art molecular techniques called metagenomics, which consist of analyzing pollen samples collected from the butterflies during the migration, with which the ecosystems they have visited will be determined using floral resources. 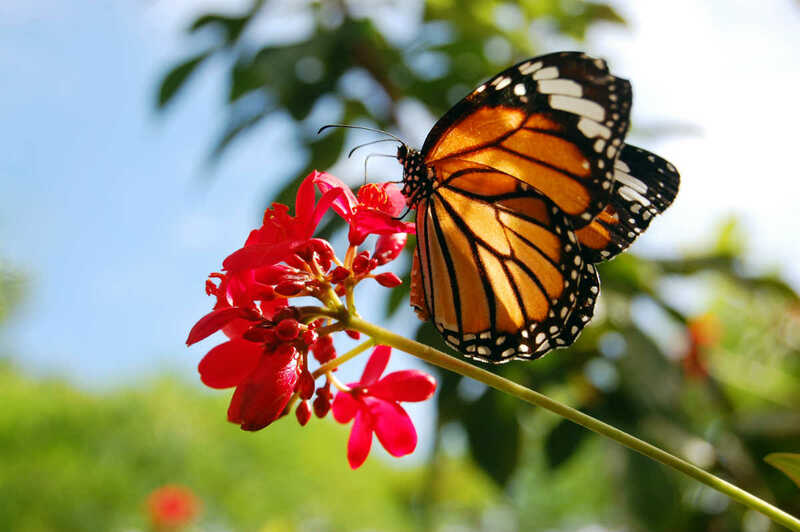 In its crossings, from north to south and vice versa, the butterfly goes through different ecosystems, transferring pollen from one; and so far, the impact of this phenomenon on millions of plants and flowers in the different regions of Canada, United States and Mexico has been scientifically studied. Therefore, with this analysis the researchers hope it will be possible to support the need to protect this species as an important pollinator. The Conabio, through the NaturaLista application , launched the ‘Se busca Monarca’ (Monarca Wanted) initiative to obtain information about the migratory route of the butterfly through citizen science. The WWF-Carlos Slim Foundation Partnership works in six priority regions ( Mexican Mesoamerican Reef, Chihuahuan Desert, Gulf of California, Monarch Butterfly, Oaxaca and Chiapas ). With the collaboration of local, national and international partners, this partnership adds efforts and financial and human resources in pro of sustainable development and conservation of biodiversity. It also works hand in hand with federal and state government agencies so that investments contribute to meeting national and regional goals.